Are you wondering about the face massage in creams for men? Yes, even when required some care and attention towards their skin. Face massaging is a process of applying a suitable cream and then gently massage in the entire face for at least 10 to 20 minutes. This entire procedure helps to revive dull dry and tired skin tone by stimulating the blood circulation. It also boosts hydration and moisturization of the skin deeply. Face massaging for men is not just for dry skin but men with oily skin or even sensitive acne prone skin should also go for this process. In this post, we will be talking about the best men’s face massage cream in India that are available at pretty affordable prices. 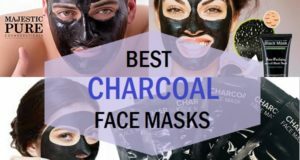 If you are thinking about doing facial massage in yourself at home then use of the suitable massaging cream is required. 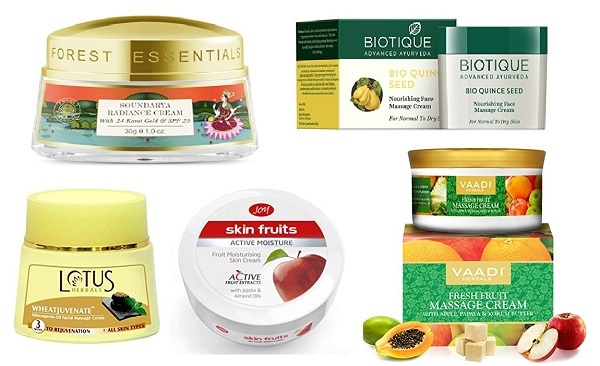 We have compiled this list of the men’s face massaging creams along with the skin type suitable for the product. The massage cream from VLCC is rich in pista extract. The cream spreads nicely on the face and helps to revive a dull and dark skin tone. It is an intensive hydration treatment to achieve youthful looking skin. It’s a nourishing face massage cream rich in bio quince seed. It should the skin with its quince seed oil and Vitamin E. It pampers your dry and dull skin. 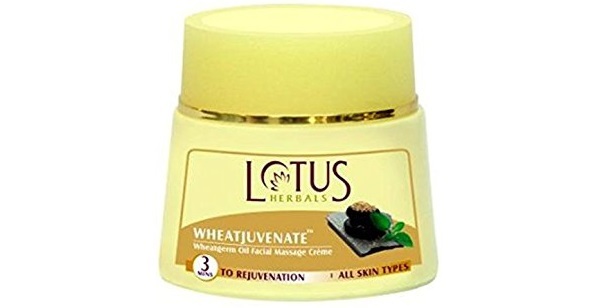 Use of this cream also reduces the dark spots, dark circles and skin dryness. Gently apply the cream in upward motion for 5 to 10 minutes. It can also be used daily at night. 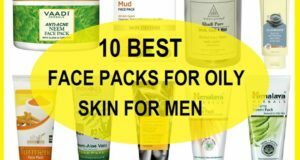 Don’t forget to check out the best daily use moisturizers for Indian men. The Soundarya Radiance cream is rich in 24 carat gold and SPF 25. It is an intensive Ayurvedic formula that gives you youthful and supple skin tone. It improves the skin elasticity. 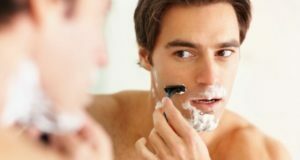 Men can use it during the daytime as a day cream or a massage cream. It she use the skin from UV rays with its SPF 25 formula. The product has a light texture and gives radiant glow to the skin. 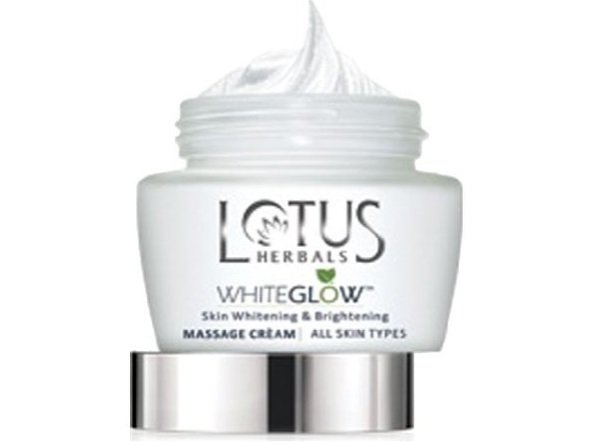 Lotus massage cream is for skin whitening and brightening. If your skin complexion is dark and you are looking for a cream that can brighten, this is perfect. It stimulates the blood circulation and polishes. Regular use of this cream, tightens the pores and refines the skin texture. It leave the skin hydrated and luminous. It can be applied daily and is suitable for all skin types. It is a skin rejuvenating men’s massage cream with anti-inflammatory properties. It is made with Ashwagandha extracts, Tulsi extracts, wheat germ Oil, almond oil and honey. The cream is an intensive hydrating formula made for dry skin. The cream is rich in antioxidants that fight the premature skin aging. It can be used daily for 5 minutes to get beautiful skin. 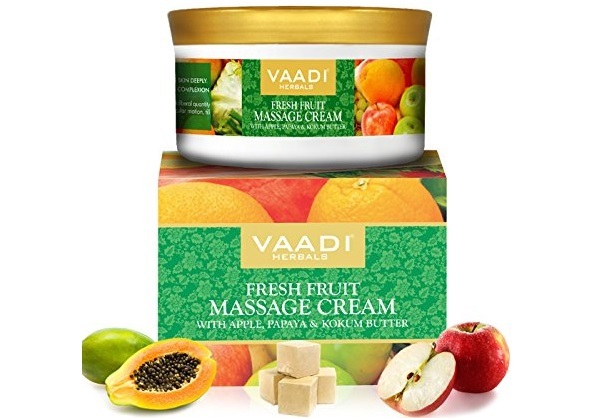 It’s a fruit massage cream that is rich in fruits like apple, papaya and kokum butter. The cream gives you immense hydration but does not make skin greasy. It is excellent for face as well as body massage. This is 100% natural and free of parabens and chemicals. The fruit massage cream can be applied during summers and winters. Oxyglow massage cream is made using Saffron and gold along with Vitamin E. The cream is a facial cream that you can apply once in a week to keep skin moisturized and beautiful. Men of all age group can try it. Saffron and gold extract make skin fair and bright. 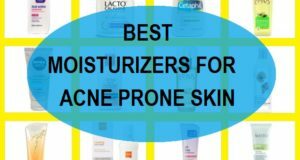 It does not irritate the skin and clogs the pores. It’s a gold facial massage cream suitable for men’s skin. You can apply it daily or after or during the gold facial. 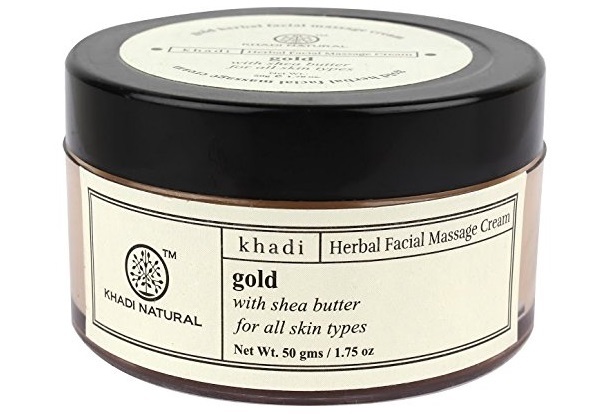 First scrub your face and apply this cream to get the benefits of gold particles. The cream revives dull and dehydrated skin tone. Just apply the cream all over the face and neck and massage. Leave it for a minute or two then remove it with a damp cotton. This cream is rich in shea butter that gives you anti ageing and fairness benefits. It removes dead skin cells and makes the epidermal layer well hydrated. Saffron has the power to brighten your skin complexion. Men’s skin often gets tanned and dark during summers, when they go for bike ride and outdoor activities. This Saffron rich cream helps get you back the original skin complexion. 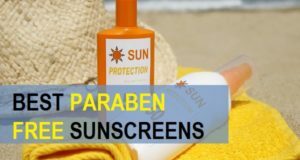 It reduces the sun tanning and makes skin fair. The cream is a non-greasy cream with an Ayurvedic recipe. It gives you anti-aging properties and maintains the elasticity of the skin. 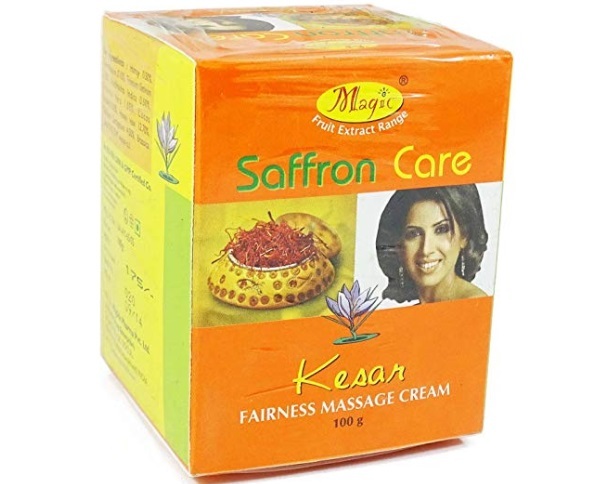 This is one of the best fruit massage creams for men and women in Indian market. The brand is very popular and affordable. 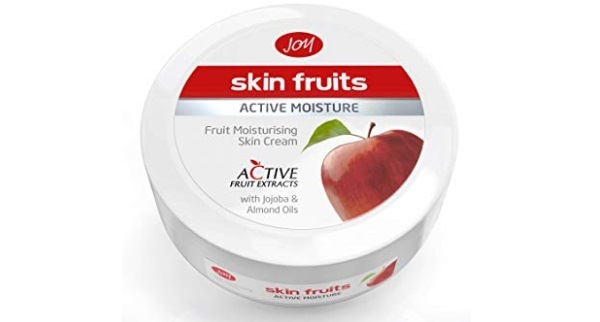 The moisturizing cream contains almond oil, jojoba oil and active fruit extracts like apples. It makes a layer on the skin that protects the skin from harmful winter dryness and UV rays. It revitalizes the skin and makes it youthful looking. This cream is mostly for dry and normal skin. 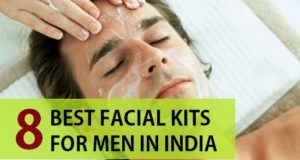 The best face massage creams for men in India. You can apply the Cream once in a week or once in two days. If you are using them daily, then massage only for 2 to 3 minutes at night. Applying massage cream at night gives you good benefits, as you wake up with good skin. During winters, massaging can be done every day as it will boost your blood circulation and protect the skin from dryness. First of all, clear or cleanse your skin thoroughly using a suitable face cleanser and pat dry the face. Use a headband to keep away all the hair that falls on your forehead and face. Take around one teaspoonful of massage cream on your palms and apply it all over the face and neck. With gentle circular movements, apply the cream in an upward motion. Keep rotating and massage in the face using the cream with gentle strokes. Continue this process for 10 to 15 minutes. Do the same on your neck as well. Once the cream gets inside the face, take a tissue paper or wash cloth and wipe off the excess cream. Your face massage is complete, you can apply a face pack depending on the skin type. Face massaging can be done without the use of face pack at night as well.